An artist by the name of Chuck Schuldiner was well known for being the guitarist/vocalist/songwriter and founder of a death metal band, simply named Death. He was also known as one of the original pioneers of death metal, who influenced, defined, and defied the sound of the genre. In 1983, when he formed his first band named Mantas, the number of death metal bands that were signed on a record label could easily be counted on one hand. After he changed the name of his band to Death and released their first album, “Scream Bloody Gore”, the followers of this new genre spread like wildfire, due to his strong influence. By the time his fourth album, “Human”, was released, he had already defined the sound of death metal with his guttural vocals, melodic tunes, fast riffs, and streaming solos. With the release of each album afterwards, he proceeded to defy the sound of death metal by making music with a style that was very different from any other music in the genre. Charles Michael Schuldiner was born of Jane and Malcolm, on May 13th 1967 in Long Island, New York. He had two siblings, Frank and Bethann. In 1968, when Schuldiner was one year old, his family moved to Florida. In October of 1984, the band recorded their first demo since the name change, entitled, “Reign of Terror”, but it was considered as their second demo in all. This demo also featured five tracks. By March of 1985, Death had recorded their third demo, “Infernal Death”, which featured three tracks. This is the last recording that this line-up recorded together. Once again Schuldiner began his search for new members to fill Death, but this time he journeyed to San Francisco, CA. Meanwhile, Kam Lee and Rick Rozz stayed together to join a band called Massacre, which had been around since 1984. Massacre was formed by Allen West and Bill Andrews. Eventually West left the band and was replaced by Terry Butler. In California, Schuldiner made contact with a drummer by the name of Eric Brecht. Things didn’t work out so Schuldiner ended up returning, after only a few months, to Florida without a line-up for Death. Once again, Schuldiner returned to San Francisco, California, but this time it was to join with a drummer by the name of Chris Reifert. Together they recorded Death’s fourth official, three-song demo, “Mutilation”, which was known as their best demo yet. Like all the prior demos, this demo circulated nationally through an underground tape trading circuit. However, a copy of this demo made its way into the hands of the well-known metal label, Combat Records. Soon after this release, Rick Rozz was excused from the band for his lack of progression in guitar abilities. Guitarist James Murphy replaced Rozz. Murphy stayed with Death long enough for the band to record the third album, “Spiritual Healing”, released in 1990. Like it’s predecessor, this album was more progressive than it’s previous album. The guitar work was more advanced and the lyrics were even more realistic, in the sense that they were about controversial events that occurred in everyday life, as opposed to songs being about blood, guts, and gore like on the previous albums, especially “Scream Bloody Gore”. For example, one song, “Living Monstrosity” is about babies, born addicted to cocaine. Another song, “ Altering the Future” is about abortion. Both of which were events frequently spoken of in the news at that time. After Schuldiner had some time to himself, to think things over, he regrouped with three new musicians, guitarist, Paul Masvidal and drummer, Sean Reinert, both from the band Cynic, and Steve Digiorgio from the band Sadus. Since Reinert and Masvidal were still committed to their band, Cynic, they promised only to record for only one album with Death. 1991 saw the release of the Death’s fourth album, “Human”, which was written exclusively by Schuldiner. The progression of this album set it apart from the previous albums, by far. The guitar solos were highly technical and melodic. Reinert proved he was the most sophisticated drummer Death had seen yet, with his fast and technical beats. Not only did the progression level on this album increase, but the sound and style of writing made a considerable change as well. One cause of this change was the influence from his new and temporary band mates. As on the two previous albums, the lyrics were of realistic events. However, this time Schuldiner put a lot more feeling into his lyrics and music. It is evident that Schuldiner put a lot of his anger from his past experiences with former band mates and others he dealt with in the music industry, into his lyrics and music. "This is much more than a record to me: it is a statement, it's revenge." [Chuck Schuldiner, “I am Just a Human Being”] On the same album, Schuldiner defines the sound of the genre as he begins to defy it. Human consisted of a song called, “Lack of Comprehension”, which was the first Death song that produced a video to get any MTV exposure. Unfortunately, MTV only showed the video two times. In 1993 Death released their fifth album, “Individual Thought Patterns”, which was the last album to be released under Relativity Records, as their contract had ended. The album was recorded with a new drummer, Gene Hoglan (formerly of the band Dark Angel), and guitarist, Andy LaRocque. However, since LaRocque was committed to the King Diamond band, this would be the only album he would appear on. Bassist, Steve DiGiorgio remained with Death to record on this album as well, but he was unable to attend neither the American or European tours for this album. Scott Burns of Morrisound Studios, produced the two previous albums as well as “Individual Thought Patterns”, but this one would be his last cooperation with Death. As can be expected from Death, this album was as progressive as the previous. From the technical riffing and solos to the rapid fire drumming, this album had everything that the album, “Human” had and more. However, Schuldiner’s songwriting style took yet another turn in a very different direction. Further defying the sound of the genre, this album gave death metal a new approach. One noticeable change was in the sound of the vocals. Schuldiner’s voice had a higher pitch than before. “Individual Thought Patterns” featured the brilliant song “Philosopher”, which would also be the second video by Death to be shown on MTV. This video was actually shown many times on the “Headbanger’s Ball Show”. The video received a great deal more exposure when it was featured on the “Beavis and Butthead Show”. However, the two cartoon idiots mocked Schuldiner and the video. Apparently, Mike Judge, the creator of the cartoon show, was not a Death fan. In 1995, Death released their sixth album, “Symbolic”, which had a crisp guitar sound that was closer to that of a traditional metal band. This was another brilliantly progressive album with intelligent lyrics. Jim Morris, one of the founders of Morrisound Studios, produced this effort. Once again Gene Hoglan performed on drums, but Death had two new members who were new to the business. However, these new members were no rookies to their instruments. On guitar was Bobby Koelble, and Kelly Conlon performed on bass. Like the past two albums, “Symbolic” was completely written by Schuldiner. This would be the first album under the new record label, Roadrunner Records. Soon after the release and tour for this album, Schuldiner began writing music for a new project band called Control Denied. In 1996 Schuldiner began his search for a completely new line-up to fulfill his dreams of forming a traditional metal band that would be Control Denied. The two main purposes for the new project were for a new band name and a normal vocal style. These were the two qualities about Death that Schuldiner felt was holding the band back from its potential. Schuldiner found himself dissatisfied with the lack of promotion Roadrunner Records had given for “Symbolic”. So he decided to pursue a new record label that could fulfill his needs. That label was Nuclear Blast America. With the help of his new label, Schuldiner decided to put Control Denied on hold in order to work on one more Death album. In 1998, Death released their seventh and final album “The Sound of Perseverance”. The line-up for this record consisted of Scott Clendenin on bass, Shannon Hamm on guitar, Richard Christy on drums, and of course, Chuck Schuldiner with his usual guitar-vocal position. This album was the most brutal yet melodic of all releases. Schuldiner and Hamm did not hold back from flexing their guitar skills on this effort. This was yet another progressive album where they may have even outdone themselves. Although it seemed in the past that Death was on a mission to defy the sounds of the genre, this album was very definitive of it. In 1999, Schuldiner gave life to Control Denied by using Hamm and Christy from the recent album. He acquired a new singer, Tim Aymar and regained former Death bassist Steve DiGiorgio. That same year they released “The Fragile Art of Existence”, which was in result a total defiance to death metal for it had a sound similar to a 1980’s traditional metal band. No guttural vocals or songs relating to death were found on this record. 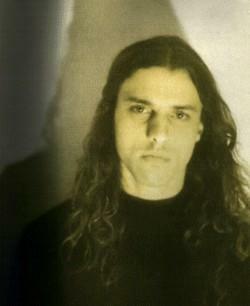 In the spring of 1999, doctors discovered that Schuldiner had a malignant brain stem tumor called pontine glioma. He underwent emergency surgery in January of 2000, which in time showed to be successful. He was progressively healing and all was looking well until 2001 while working on Control Denied’s second album, “When Machine and Man Collide”, his tumor recurred. After months of struggle, Schuldiner tragically lost the battle with his disease on December 13th 2001 at 4:00 p.m. May his soul rest in peace. At the beginning of his career, Schuldiner’s mission was to create the most brutal music in the industry, which is called death metal. As the genre popularized, his goal was to define that sound, which he did on his first four albums. However, his goals changed as he proceeded to defy that sound to the point of turning to traditional metal. This musician was a true pioneer of death metal, but evidently he was also a sentimentalist.